You are here: Home / Blog / Carpet Cleaning / What is a Superpro? What Is House Call Pro? You may have noticed the Superpro badge on our website or other social media sites. Have you wondered what a superpro is? 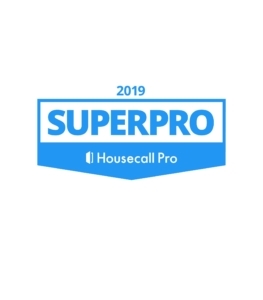 A superpro is very prestigious status that is only awarded to 5% of all contractors who use the the Housecall Pro app. Which likely will bring up your next question, what is Housecall Pro? 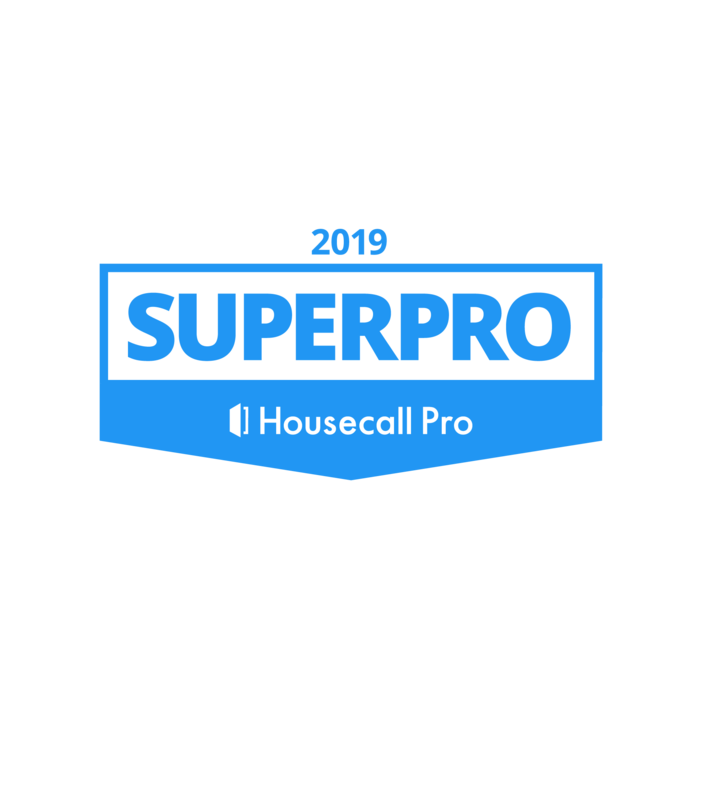 Housecall Pro is a rapidly growing customer service app used by thousands of home service providers across the country. The technology is a cloud based application that can be used on a wide variety of devices including desktop computers, laptops, tablets, and cell phones. It is loved by not only the home service providers but their customers really love it! When a customer calls or visits our website their name, address, cell, and email are collected and used only for communication purposes. We at Pristine Tile & Carpet Cleaning never give out our customers information nor do we use it to bombard the the customer with ongoing email campaigns for years. We use it to communicate with the customer from the start to the finish of the job. The system automatically sends an email and text message to the customer with a confirmation of the appointment day and time as well as a picture of whom they should expect to show up on their doorstep. The customer will then receive a reminder email a couple of days prior to the appointment with helpful information of what they should expect and what they need to do to prepare for our arrival. On the day of the appointment the customer will receive a text notification when we are on the way. After the job is complete the app will allow us to take any form of payment such as cash, check, visa, mc, discover, or amex. The receipt is electronically sent to the email on file. A day or two after the job is complete we will send out one last email to make sure the job was completed to your satisfaction and to express our thanks. Our customers can easily communicate back with us at any time during the whole process by either responding to the confirmation email or text. For those that prefer the phone, that is fine with us as well. We have been using Housecall Pro for a few years now and the feedback we have received from our customers has been beyond positive, everyone just loves it! Book Online is a very popular feature that everyone loves. People can go to our online booking page and schedule their own jobs for at a time that is convenient for them. We call each customer that uses the online booking just to go over any details or concerns of the job. There is also a Housecall app that consumers can download on their device and use to find pros in many other industries such as plumbers, electricians, Hvac and many more. We absolutely love Housecall Pro for so many reasons, too many to actually list in this short blog but I will touch on some of the best features. First of all it is very easy to use but yet very powerful and feature filled. Housecall Pro allows us to communicate very well with our customers. The app allows us to attach documents or photos to the customers account or even before and after photos of completed jobs that can be added to an invoice (some of our property managers really like that) There are a wide variety of sales reports and data at our disposal. One of my favorite features is that all the information transfers flawlessly to Quickbooks, saving us countless hours of bookkeeping. Okay the moment you have all been waiting for! what puts us in the elite 5% of Housecall Pro users. Well let me tell you, just making it through the application process alone was a task that not many business owners would care to go through. It was pages and pages long, they basically put us under a microscope. They checked everything from reviews on yelp, the BBB, Google, Facebook etc… they had to make sure all of our profiles were filled out 100%, online booking needed to be set up with pictures and descriptions for every service we offer. They wanted to know about our training and certifications. They didn’t just ask, they required proof, documentation, screenshots and so on. We also had to sign a code of ethics outlining our responsibilities, including calling people back in a timely fashion, remaining professional at all times, in customers homes, on social media etc… after a month long wait we were finally approved to meet the very strict requirements of a SuperPro in the eyes of Housecall. But if we have ever done work for you, you already know we met these requirements years ago! We are committed, we are trusted, we are experts.